Searching for a Childrens Magician Wigan area? Crazy Kris is the N#1 childrens magician Wigan have to offer! Are you looking for Childrens Magician Wigan area want? Crazy Kris is the perfect local professional party magician covering the whole of the North West. Please find a list of all areas that Kris travels to at the bottom of the page. Finding a professional entertainer to perform Magic For Children can be a big task. 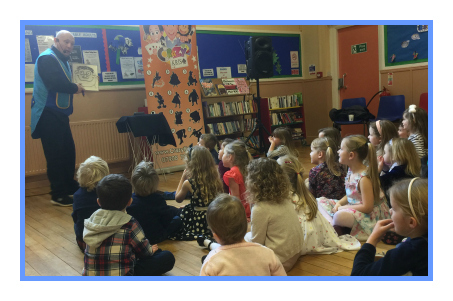 If you are looking for a perfect professional childrens entertainer and you live in Lancashire, Manchester, Cheshire or Merseyside and all surrounding areas then you have found the entertainer for you. Some of Kris' most popular areas he performs in are Warrington, St Helens, Wigan, Bolton, Bury, Runcorn and Widnes. Crazy Kris does not just perform Magic For Children he entertains them! Kris covers a 50 mile radius of his home town Warrington-No extra charge for this. Crazy Kris is the N#1 Birthday Party Specialist and the only one you can trust for Magic For Children. Not only he does Magic For Children but also provides entertainment for Schools, Libraries and PTA functions. Kris is your perfect choice for a Birthday Party Magician with over 10 years of experience in the magic industry and most of all he loves his job. There is four different choices for the Magic For Children packages that is more than enough to choose from. Have you been looking for a Childrens Magician St Helens? Crazy Kris is the best professional childrens magician warrington can offer. Do you think the local regular entertainers can offer these options? The Childrens Magician Wigan can offer has to be Crazy Kris with out a doubt.